(Lancaster, Pa., April 4, 2018) - Nate Coronado, the shortstop for the Lancaster Barnstormers during the second half of 2017, has been signed by the New York Yankees, it has been announced. 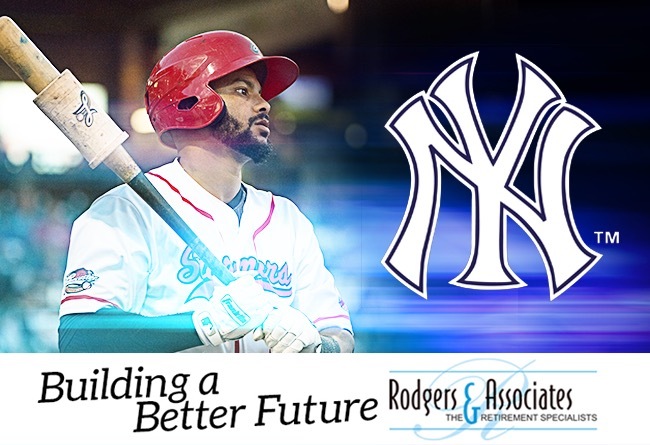 This local release is sponsored by Rodgers & Associates, longtime partner of the Lancaster Barnstormers. Coronado, 25, will report to the club’s spring training camp in Tampa, FL and await an assignment to one of New York’s affiliates. The infielder joined the Barnstormers following the 2017 All-Star Break and batted .333 in 60 games with six homers and 38 runs batted in. A Philadelphia resident, Coronado hit safely in 19 of his first 22 starts with Lancaster and also ended the season on a six-game hitting streak. In a stretch from August 19-30, he drove home 11 runs in eight games played. That included a two-homer game against Southern Maryland on August 22. His first start with Lancaster was at third base, but he moved over to shortstop with the purchase of Vladimir Frias’ contract by the Arizona Diamondbacks on July 18. Prior to coming to Lancaster, Coronado had appeared in five games with Grand Junction of the Pioneer League, where he batted .450 with three home runs before being released by the Colorado Rockies. He had also appeared briefly for the Camden Riversharks in 2015.